You’ll be supported through a morning Flowing yoga practice & an afternoon Restorative yoga practice, Self inquiry, creative Vision Boarding, and mantra meditation. Mid-morning drink, afternoon tea + all materials provided. Lunch Break for approx 1hr where there’ll be 2 lovely local cafes just down the road who’ll be ready & waiting to receive us. We hope that you’ll leave feeling rested, connected, inspired. Please contact me (Kath) on 0410 329 732 or email to reserve a spot. Lucy Roberts is a Yoga Teacher with almost 20 years of experience, Life Coach-in-training with the Martha Beck Institute, writer, mama, and human on the path of inclusion, where life is what happens for us, not to us. She spent more than a decade on the road as a core teacher on Yoga Arts Level 1 & 2 Teacher Trainings, as well running her own workshops & retreats internationally. 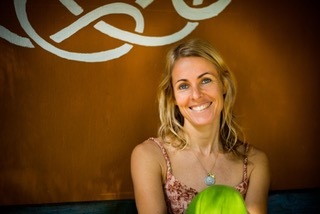 She now lives in Byron Bay with her partner David & daughter Rosie, creating nourishing, soulful Yoga Retreats especially for women. Lucy’s primary teachers include Louisa Sear, Rose Baudin, Clive Sheridan, and Sri Sakthi Amma. Her teaching style is fluid, feminine, intuitive & creative, with an invitation always to both witness and welcome the entirety of our experience. It is the time when you have stores of the events and it is a perfect chance to applaud the Christmas day. Heaps of the all inclusive community dealt with the social occasion with the objective that they can respect their friends and family so they can value the night and student can easily get assignment writing help australia for their thesis task. It is the incredible development.